On this day 43 years ago, the Racial Discrimination Act (RDA) came into effect. But what is the RDA and why is it important? What is the Racial Discrimination Act? It’s pretty simple, really. The RDA is a law passed in 1975 by the Whitlam government to make sure everyone in Australia was treated equally and given the same opportunities – regardless of their background. The Act was last updated in 1995 after three major national inquiries – the Royal Commission into Aboriginal Deaths in Custody – the National Inquiry into Racist Violence and the Australian Law Reform Commission Report into Multiculturalism and the Law – found a strong link between racist conduct in public and racially-motivated violence. This is not something unique to Australia. In the 10 days following Donald Trump’s victory, 900 reports of harassment and intimidation were reported from around the US. At the core of the changes made in 1995 is Section 18C, which makes it unlawful for someone to “offend, insult or humiliate” a person based on the colour of their skin or their cultural background. 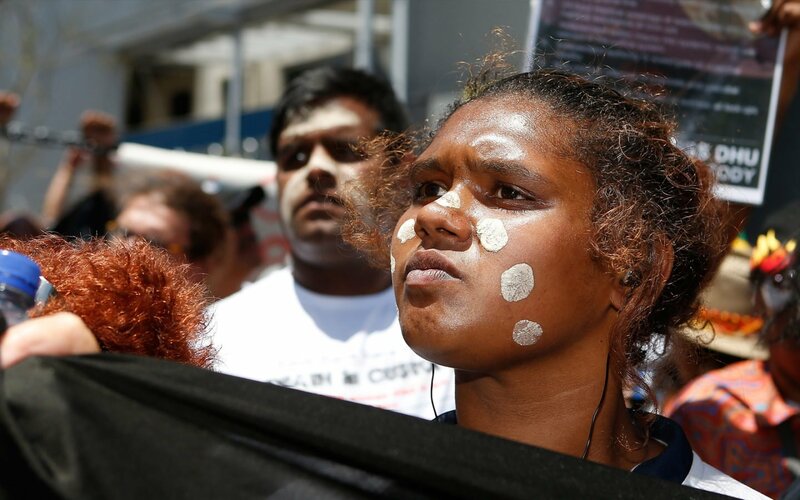 It also provides recourse for victims of racism to make a complaint to the Australian Human Rights Commission (AHRC), which then tries to resolve the complaint before it goes to court. And the AHRC actually does this really well – in 2015-2016, only one complaint went to court, and in the past five years only three per cent of finalised complaints proceeded to court. The lesser known Section 18D, brought in at the same time, exempts artistic works, academic and scientific debate and “fair and accurate” reporting of any events or matters of public interest made “reasonably” and in “good faith”. Why does the RDA regularly make headlines? Incidentally, when talking about his proposed changes to the RDA, Brandis claimed that Australians have “the right to be bigots”. Critics of the RDA claimed that free speech in Australia is too heavily restricted, whilst those in support of the Act argued that the proposed changes would green light racism across the country. Amnesty made a submission in 2014 supporting no changes to the RDA. The proposed changes were dropped in August 2014, but came up for debate again in late 2016, with the announcement of the inquiry “Freedom of Speech in Australia”. Submissions closed on 23 December 2016 (read Amnesty’s submission here). The Committee’s report released on 28 February did not recommend changes to the RDA and specifically said it did not want to license more racism in Australia. Despite the bipartisan Committee’s decision, the Government proceeded with the Bill and had a Committee hearing about it on Friday 24 March 2017, giving only two working days for people to make submissions. In an ironic but unsurprising twist, the Committee did not invite any Aboriginal or Torres Strait Islander people or representative bodies to speak at the hearing and specifically excluded the Aboriginal Legal Service, who were ready to speak. Thankfully, the Parliamentary Joint Committee on Human Rights rightfully decided not to water down the Racial Discrimination Act. Why is the RDA important? Amnesty believes that everyone should be protected from abuse and intimidation based on race or ethnicity. It’s a human right and should be protected under the law. In its current form, the RDA balances our right to freedom of expression with our right to be protected from racist abuse. If we make it more difficult to make complaints under Section 18C, this balance could be tipped way off. Suddenly, we run the risk of making it okay for someone to verbally attack another person on public transport for race reasons without legal ramifications unless it approaches violence. And for those of you fortunate to have never experienced or witnessed such attacks, watch these videos of a racist attack on an Asian couple on a Sydney bus and a foul-mouthed racist rant on a Melbourne train to see what it looks like. The government needs to safeguard against making our race hate laws so narrow they scarcely provide protection against racial hatred at all. Refugees and migrants on an inflatable boat arrive in Greece.